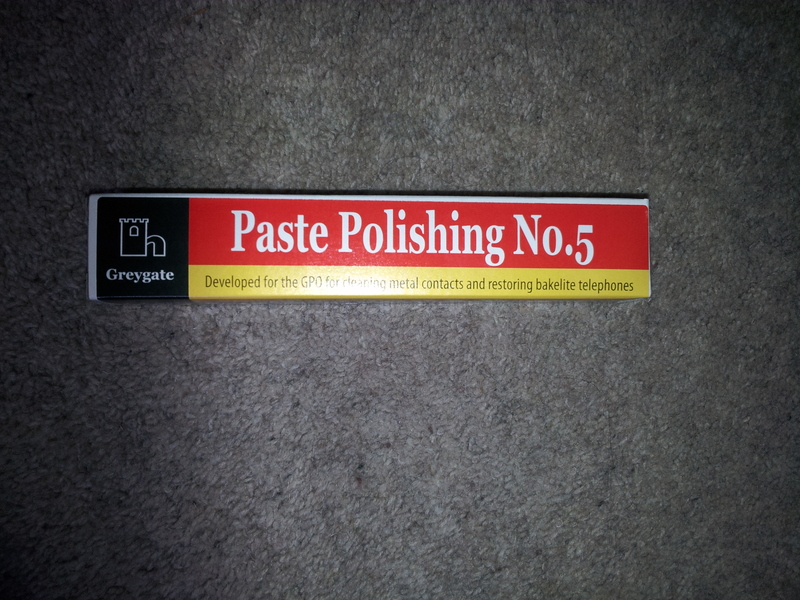 This 60g tube of special Bakelite polishing paste will keep your old telephones looking amazing and maintain that glorious shiny finish.This was especially made for the GPO for their bakelite telephones.Also known as Baykobrite it really is terrific stuff. We are also offering a specialist polish for plastic . This is ideal for the more modern 746 plastic telephones & is manufactured by the same company -Greygate.See our other listing.